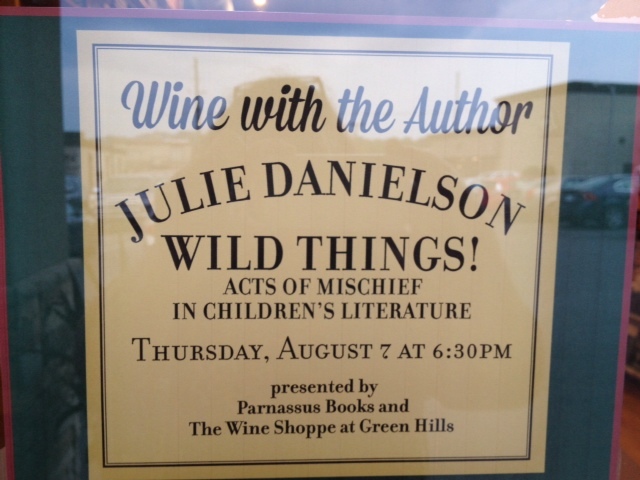 Velvet Devils & Kung-Fu Girls: Wild Things and Its Wines – WILD THINGS! Jules here. We’re taking a quick break from Sneaky Peek author videos today to talk about wine. 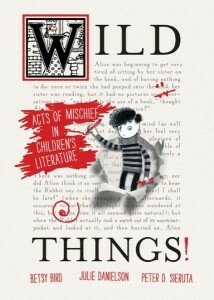 My book launch for Wild Things! 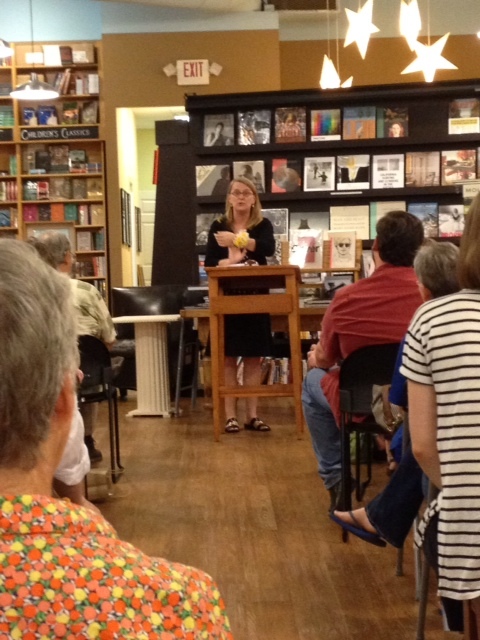 was held at Nashville’s hoppin’ Parnassus Books. They have an event series called Wine with the Author, and lucky for me, my book launch was paired with this series. Here below is Dan speaking at the launch itself. I had asked my husband to record it so that I could share it with Betsy, but we decided to share it here too, ’cause why not? Dan’s “bottled poetry” idea is such a great one, and I have to say, it made my book launch even more fun and even more special. The part with Dan begins around moment 2:05, since the book launch opened with some announcements from the wonderful Stephanie Appell at Parnassus Books. And here’s a link to the winemaker responsible for the wines Dan chose. Also below are a few pics from the book launch. 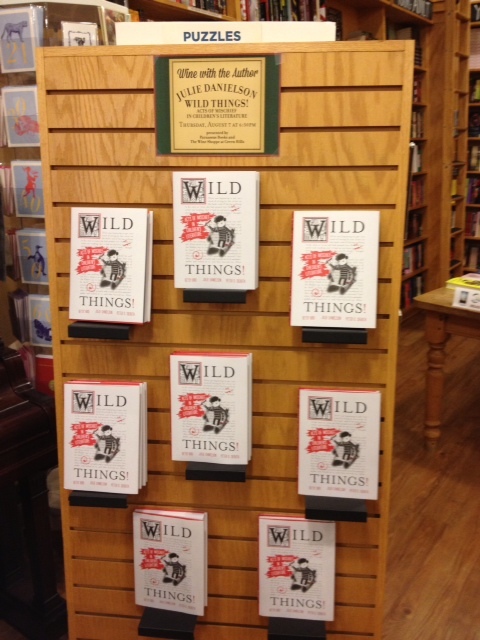 Thanks to everyone who came out to hear about our book, and big, wild thanks again to Parnassus and Dan! Heaven bless the local bakery that put one of the Wild Things! 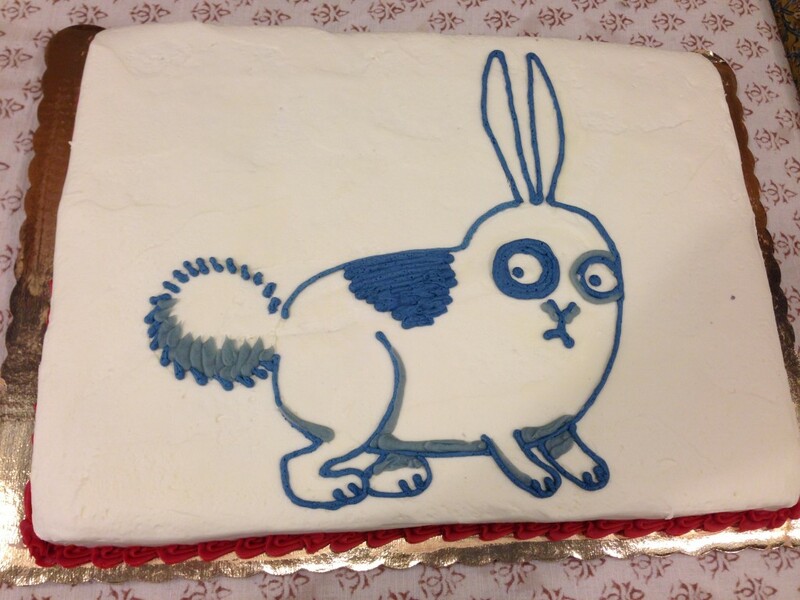 bunnies atop the carrot cake. My former grad school professor, who taught me all I know about children’s lit, sent me a corsage, so how could I not slip it on? 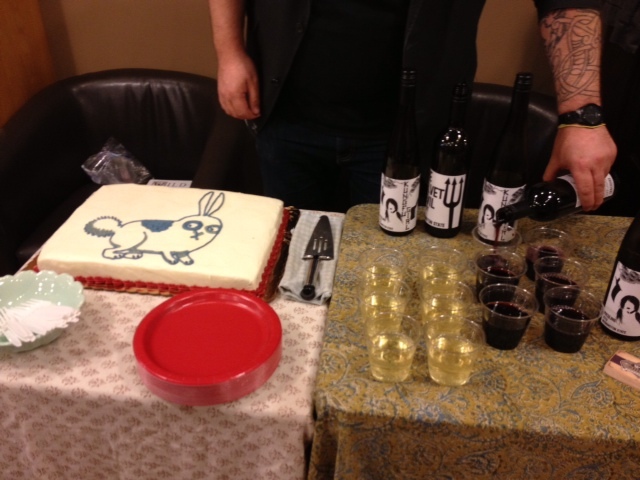 3 Responses to "Velvet Devils & Kung-Fu Girls: Wild Things and Its Wines"
Gotta say, that’s on my “someday” list; a cake with a cover from one of my books. I was very happy to see that these vineyards ship to Florida. Oh, uh… for a friend! Never touch the stuff myself! FOR A FRIEND!